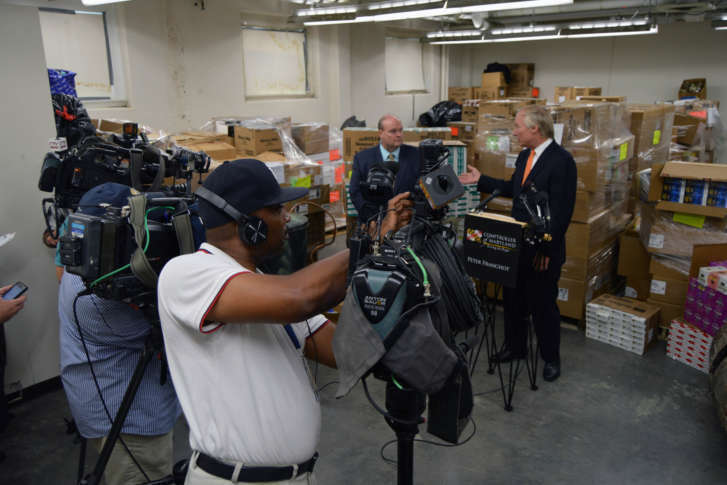 Tax cheats and smugglers have helped build a vault of contraband sitting in the basement of a government building in Annapolis, and Maryland's comptroller cracked it open. Another warehouse holds 20 times the contraband stored in the state office building. His office is revealing the sheer amount of liquor and cigarettes already confiscated to demonstrate how state enforcement agents are cracking down on tax scofflaws. “We are basically putting our finger in the dike because this is such a lucrative criminal activity that has very few penalties associated with it. It’s something we’re trying to protect the taxpayers,” he said. Often drug dealers sell the contraband on the side because they can make more money than selling heroin or methamphetamines and the penalties present less risk, Franchot said.